SoundHound was the perfect app for the job. Not only did it recognize the song, but it also spotted on the tune it was remixed with. 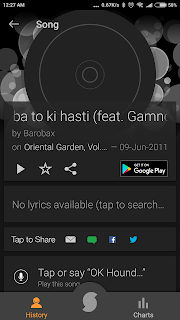 The song was "Baba to ki hasti" by Barobax which is my new favorite. It's in the Persian language and there was no way I could have picked the song words. I also tried if SoundHound could recognize the classic compositions like Fur Elise and a few Bollywood songs. It didn't fail to impress me. 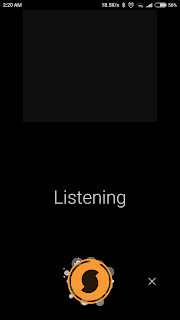 SoundHound worked like a charm. You can also use this app to discover new songs and collect your favorite albums. The app uses AI - deep learning (deep neural networks) for training, recognition, and discovery of songs. Head over to Google Play Store and Apple App Store to download the app. Let me know which song did you recognized using this app? Have you tried other apps like this? If yes how was the experience? How do I search something using images?